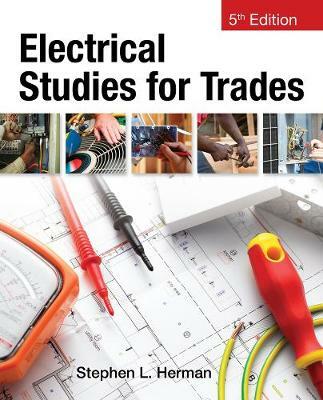 Packed with real-world examples, vivid illustrations, and the latest developments from the field, ELECTRICAL STUDIES FOR TRADES, 5th EDITION is ideal for current and future service technicians in air conditioning and refrigeration, construction, and facilities management--and anyone else who needs a practical knowledge of electricity. Extremely reader-friendly, the book begins with an overview of basic electricity concepts--rather than complex mathematical calculations. From here, you proceed directly to "must-know" information, including how to determine wire sizes and make a variety of common switch connections. Different types of electrical power panels are also examined in detail. Discussion of general wiring practices and circuit protectors, as well as an introduction to transformers and three-phase and single-phase motors, round out the comprehensive coverage.